Every engagement. Every day. Here are five StakeWare features to help you focus on what matters most: Working with stakeholders to engage and build trust. Anywhere. Have a complete view of your stakeholders, including activity history, key contacts, interactions, and internal discussions. Gain insights from popular social media sites such as Facebook, Twitter, LinkedIn, and YouTube — right within StakeWare. 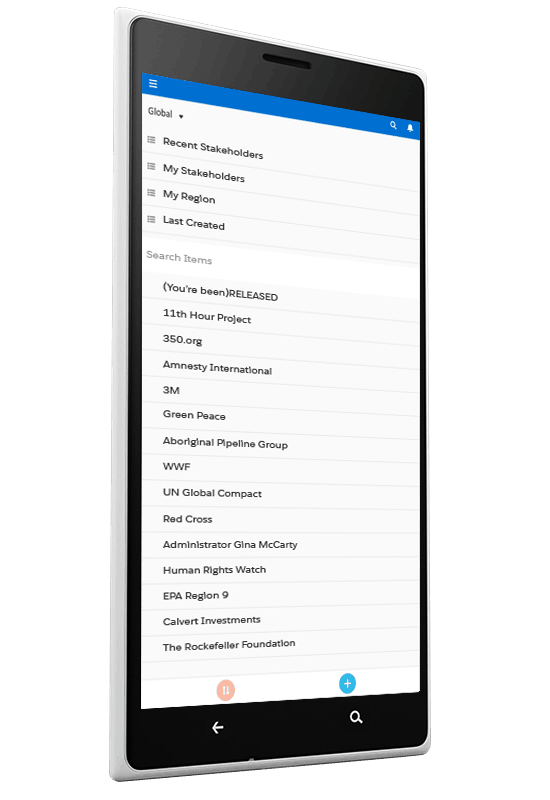 The StakeWare Mobile App built on the Salesforce1 platform turns your mobile device into a portable engagement office. You can log calls, respond to stakeholders, work issues, or check dashboards no matter where you are. Use the email applications you already know — like Outlook. 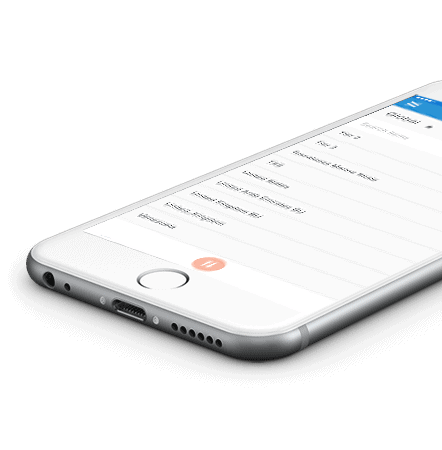 Sync everything from contacts and events to tasks and more with StakeWare. So everyone moves faster from the inbox and stays productive. 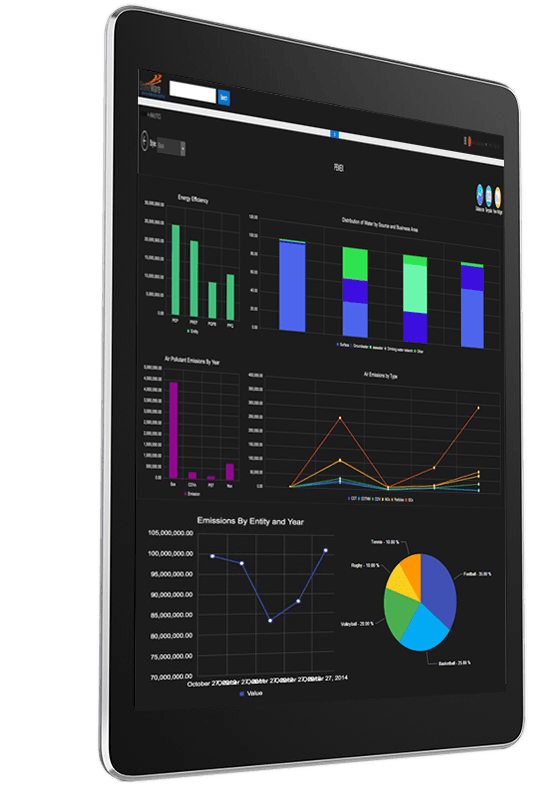 Dashboards offer a real-time picture of your company at a glance. Dig deeper with detailed reports that anyone can create. And access your reports and dashboards from anywhere. Mapping stakeholders will assist you in determining who should be engaged and at which phase of the engagement process. This process is most effective when applied at various phases of development as stakeholder groups will evolve over time. Developing criteria for defining “who is a stakeholder” and “what counts” is a critical step. Built-in algorithmic capabilities augment the human user’s ability to make sense of large-scale data by automatically identifying interesting clusters of data to queue up for analysts to review. All integrated data is stored in StakeWare using an evidence based approach. Users can track changes to critical information by saving it in an inmutable part of the data base. This approach assures the ability to understand how information changes over time. Users can explore divergent lines of reasoning, record each step along the way, and jump back to earlier points in their investigations. Integrate stakeholder engagement deeply into your business. No matter the size of your company, all CSR officers share one common goal — the desire to build stakeholder trust. We can help with that. Give CSR teams an experience that matches how they work, and they’ll work smarter, faster. 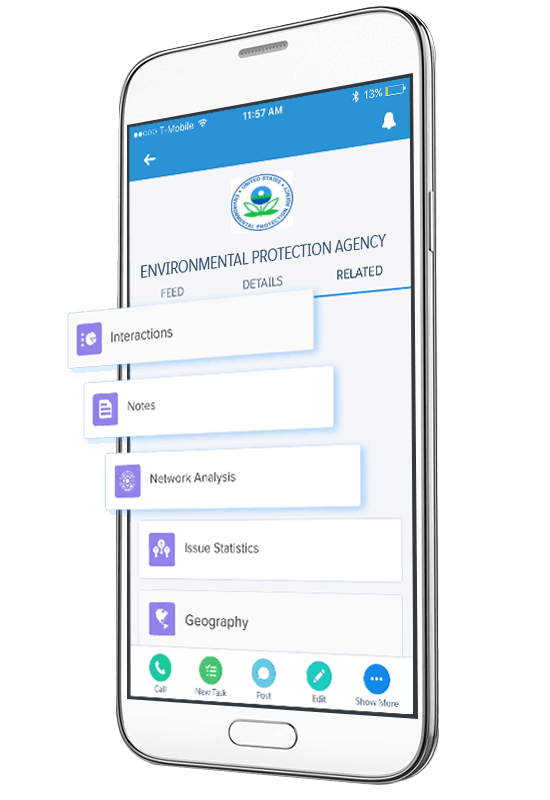 Now field officers can see stakeholder intelligence, detailed organizational info, and multiple maps on a single screen to build trusted relationships. Understand stakeholder interactions. Know when to act. View a detailed history of your stakeholders’ engagement with your company right within StakeWare or on the Mobile App. Activity tracking lets you understand your stakeholders’ unique interests, and with real-time alerts you’ll know exactly when to reach out. Spend your time where it matters the most. StakeWareIQ intelligently filters your stakeholders and surfaces the issues that need your attention most. Prioritize your stakeholders with intelligence. Your communication exchanges are automatically captured from emails, meetings, and calls to surface important relationship insights and details to help you prepare for the next stakeholder issue. StakeholderIQ will alert you when a stakeholder needs attention with intelligence fields like inactive days. Get immediate insights out of the box. StakeholderIQ reports automatically surface the insights teams need to engage smarter. Whether you’re looking at the overall health of the business or finding issues to improve your engagement performance, you’ll always have fresh data right at your fingertips. Determine material issues for sustainability management and reporting by crafting good-quality engagement in accordance with the principales of the Accountability AA1000 (SES) Standard. Run highly-targeted campaigns using a suite of powerful tools, and steer the engagement away from being driven by non-strategic considerations such as the ‘noisiest’ stakeholders, the short-term focus of the media, or the comfort zone of managers. Get to decision makers faster. StakeWareIQ shows you if other team members have interacted with a stakeholder before, when they did, and how often — allowing you to get warm introductions you would not have found otherwise.